What are people looking for in a church? Pastors ask this question regularly – and we should. But too often, I think we miss the mark entirely. Recently, I was with a group of ministers sharing new ideas. Much of our discussion centered on issues like the quality and volume of the music, stage lighting, use of video and drama, sermon length, advertising, signage, and the like. There is too little difference between ministers talking about church, and a theater group talking about their upcoming play. Then it hit me. There is too little difference between ministers talking about church, and a theater group talking about their upcoming play. The other voices faded into the background as I realized something about myself. I’m getting tired of the show. 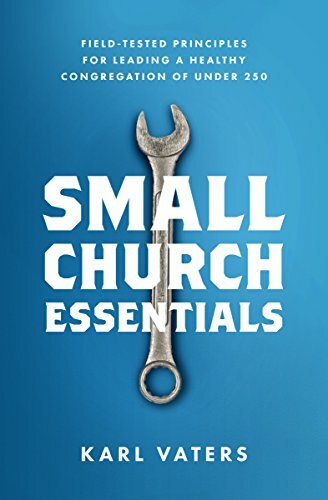 I’ve spent decades tweaking the service order, adjusting audio levels, setting up chairs, approving graphic designs and all the other work it takes to conduct a church service. Does anyone really think the reason our next door neighbors aren’t going to church is poor stage lighting and a less-than-perfect closing song? Or are they looking for something else entirely? It’s not that those elements don’t matter. If they’re done poorly, they can distract from the message. But spending too much time and effort on them can distract from the message, too. Let’s face the truth. It doesn’t matter how big our churches are, how much money we have, or how many A-List Hollywood producers become believers. If we compete head-to-head with Hollywood on entertainment quality, Hollywood wins, the church loses. Not only can’t we compete with the latest Hollywood blockbuster at the local theater, we can’t compete with the phone in our pocket. The highest quality entertainment in the world is literally at our fingertips, 24/7. My neighbor isn’t going to be blown away by the spectacle of our church’s Easter pageant. So the bad news is, the church can’t compete with Hollywood. Or Disneyland. Or Broadway. Or Friday night high school football, for that matter. We can't even compete with own smart phones and iPads. But the good news is, we don’t need to compete with any of those things. Because the church has no competition. The church needs to do what only the church can do. Jesus told us to show the world we’re his disciples. Not by putting on a better Sunday morning show, or by making higher quality movies. And certainly not by sticking with the old, stale Sunday morning show, either. Jesus said people would know we’re his followers because we love one another. There’s a growing concern that the church needs to do a better job than we’ve been doing, or we’ll lose the next generation. The good news is that while this has been the concern of every generation, the church continues. As I wrote in 13 Reasons Not to Worry About the Future of the Church, we've survived and thrived through worse problems than whatever is worrying us today. We will lose the next several generations unless we do one thing. Stop competing, and start doing the Bible stuff better. The bad news is we will lose the next several generations unless we do one thing. Stop competing, and start doing the Bible stuff better. If we don't do that, we deserve to lose them. What if, instead of trying to impress our neighbors, we started taking “love your neighbor” seriously? and do that really well? Has the world seen a truly united church, living with integrity, while loving God, each other, and our community? We’d truly have no competition.